I decided to start late today. I was a little fuzzy-headed after yesterday and I think I was dehydrated. So I spent the morning drinking plenty of water and SOS Rehydrate, and taking care of some Walking Wales admin. I set off from Goldcliff early afternoon, after a cup of tea at the Seawall. I picked up some supplies from the shop there too as the stretch between Goldcliff and Caldicot has no facilities near the Wales Coast Path. After spending yesterday escaping angry bulls and being routed away from the coast for most of the day, most of today was spent walking along the sea wall. Unlike yesterday’s sunshine, today was overcast and a haze hung over the Severn Estuary. 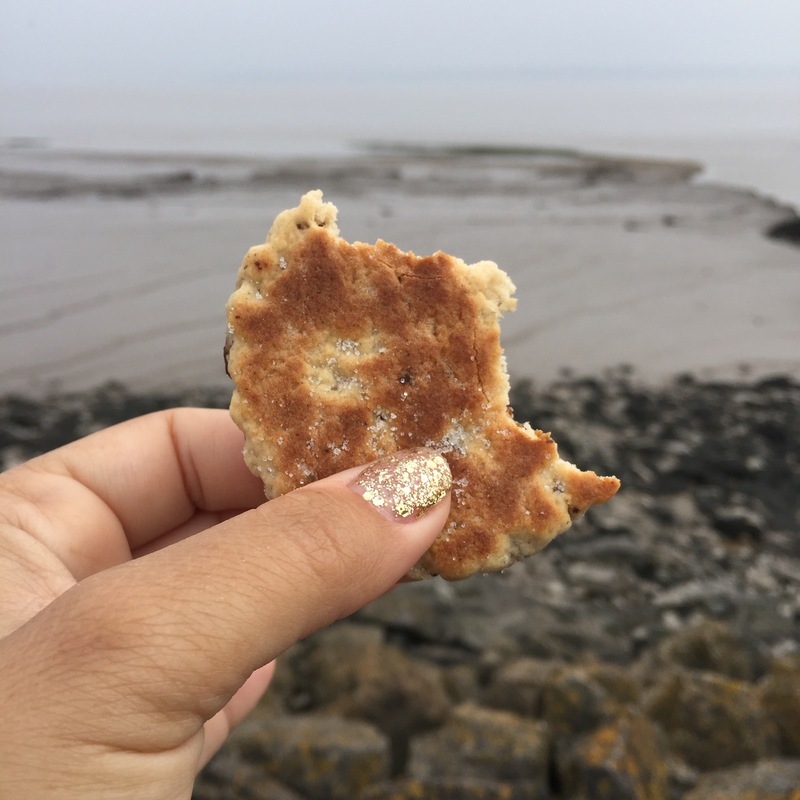 As I reached Summerleaze, I decided to take a break, tucking into the Welsh cakes I’d bought from the Seawall. It couldn’t have been more different from the last few days. It was isolated and I didn’t see a soul all day. The only creatures I encountered were sheep and cows. Then, suddenly, through the haze, I saw the Second Severn Crossing in the distance. It was a symbolic moment and I felt great! South of the Severn Toll, I was routed away from the coast due to the local wildlife. Walking down a Tarmac road, a very loud ‘MOO’ made me jump. I thought a repeat of yesterday was on the cards. Indeed it was a bull, an angry one at that, and he was staring right at me. 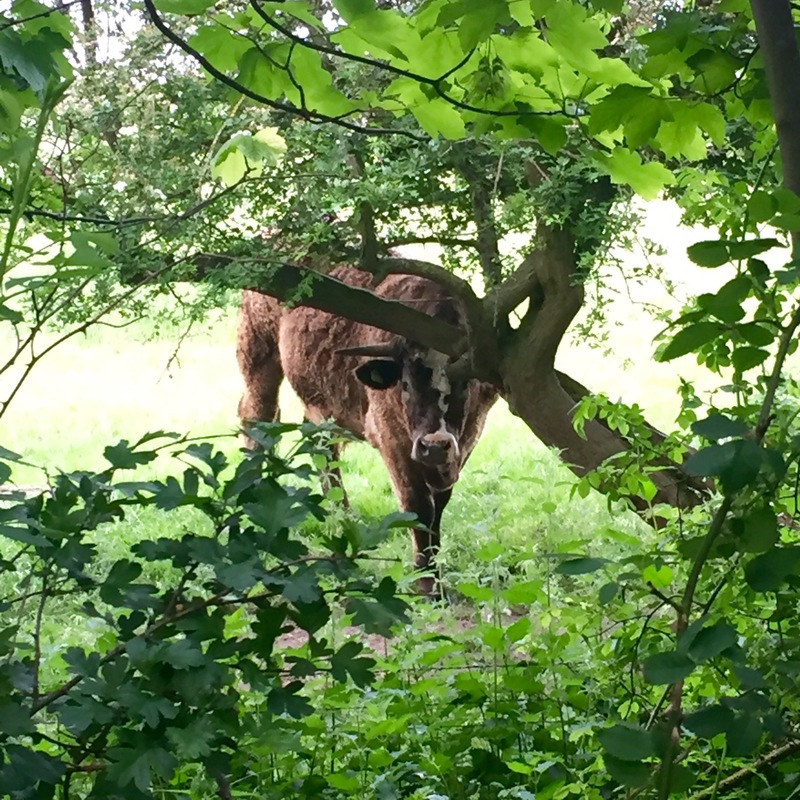 Fortunately though, this time, he was stuck behind a thick hedge and fence. Siriol 1 Bull 0. Shortly after crossing over the M4, I reached Caldicot Station. I decided to stop there for the night whilst there was still daylight. And off I went to find a place for Clark Tent and I to stay the night. Before I sign off, I want to say a huge thank you to the South Wales Scorpions and North Wales Crusaders fans at the Big Welsh Derby today for donating £206.78 to #WalkingWales. Overwhelmingly generous. Diolch yn fawr! You are doing anazing and so relieved you had a win against the bulls! Looking forward to tomorrows blog. You will pass my Dad’s old garage at Sudbrook tomorrow. Many happy memories of playing in the foreshore there ?